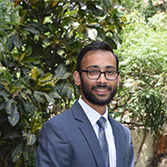 Subhash heads the IPR and civil litigation practice at Krida Legal. His practice is strongly focused in the field of intellectual property rights, technology and media, fashion, consumer and personal injury laws. Having represented leading companies from various sectors, Subhash has holistic understanding and in-depth knowledge of the business requirements relating to these practice areas. He is also a seasoned counsel and regularly appears in the Courts and Tribunals in Delhi in matters relating to trademark / copyright / patent violations, Anti-Piracy and Anti-Counterfeiting actions, Breach of Contract / Confidence, Consumer Complaints, Trademark Opposition hearings et al.